Eisner-nominated writer Phil Hester (Green Arrow, INVINCIBLE UNIVERSE) teams up with Eisner-winning artist John McCrea (Hitman, The Boys) for the fascinating folkloric fantasy MYTHIC TP, which collects issues #1-8 into trade paperback this June. Science is a lie, an opiate for the masses. The truth is, magic makes the world go ‘round. And when magic breaks, MYTHIC fixes it. Apache shaman Waterson, Greek immortal Cassandra, and cell phone salesman Nate Jayadarma are tasked with keeping the gears of the supernatural world turning—and you from ever knowing about it. 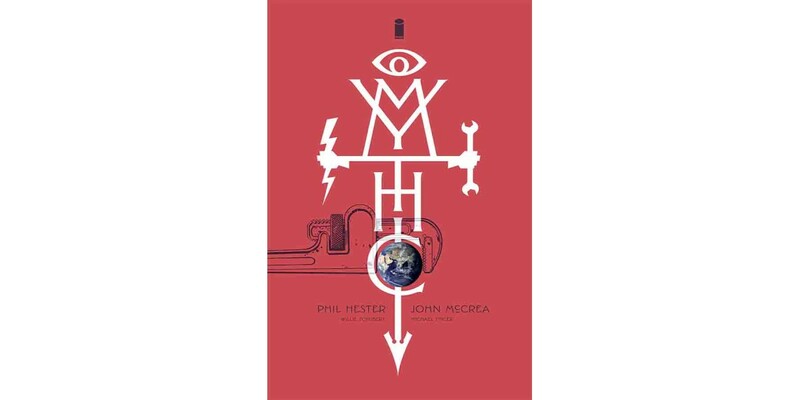 MYTHIC TP (ISBN 978-1-63215-736-2) hits comic book stores Wednesday, June 22 and bookstores Tuesday, June 28, and will be available for $16.99. It can be ordered by retailers from Diamond Book Distributors with the Diamond code MAR160637. It can be preordered now on Amazon, Barnes & Noble, Indiebound, and Indigo.